Observation - Brimstone - UK and Ireland. Description: The first real sunny warm day and my first butterfly of 2013, the Brimstone never disappoints. 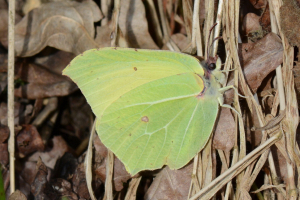 The first real sunny warm day and my first butterfly of 2013, the Brimstone never disappoints.